Make a stolen bike easier to find. That idea drove the designers of the KP Cykler, who’ve now launched the model on Kickstarter. KP Cykler is built around a stylish, semi-custom bike. The $900 single-speed rig comes with a hand-built steel frame and leather finishing touches. What sets it apart is not what’s on the outside of the bike, but what’s inside — a near field communication (NFC) chip in the end of the handlebars can be read with most newer smartphones. 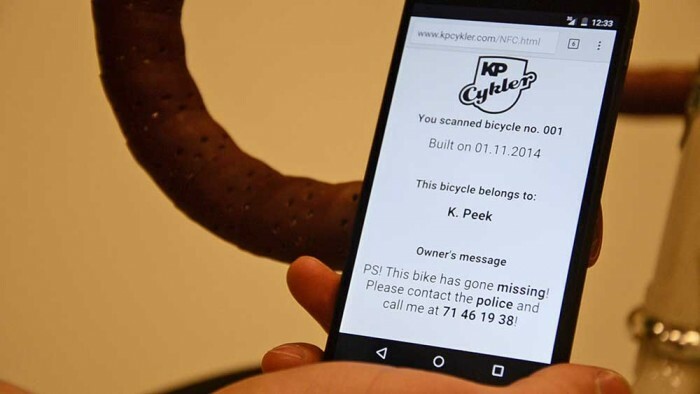 Hold a phone near the handlebars and the bike opens a browser page on the screen with personalized details like the manufacture date and the owner’s name. It allows a customized message with information such as phone numbers or instructions to call the police. The information about the bicycle is stored in a database, not the chip, so it can’t be modified by third parties. NFC technology is not new to bikes, but this is the first time we have seen it integrated and hardwired into a component. Other applications allow a thief to remove the chip unless it is well hidden. 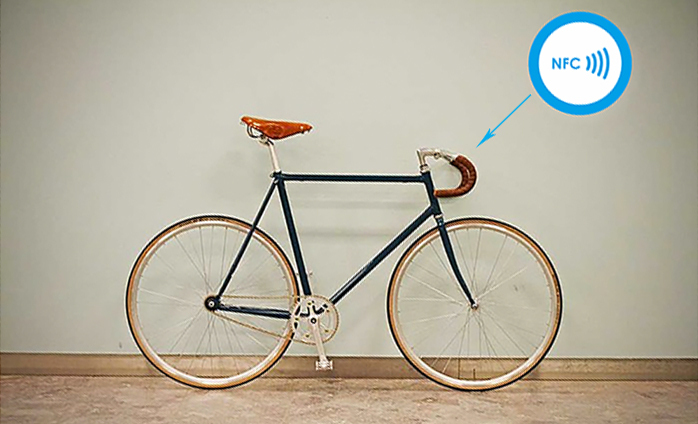 We’d love to see NFC chips integrated into more bikes in the future. For now, if you’re interested in a chip-enabled bike you can swing a leg over, head to the Kickstarter page and look at the KP Cykler option. Fixies to city commuters. Anything you ride inside city limits.